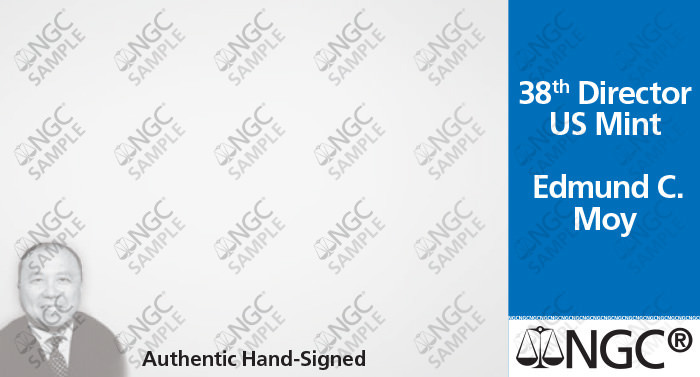 Edmund C. Moy signed an exclusive signature agreement with NGC in 2015. 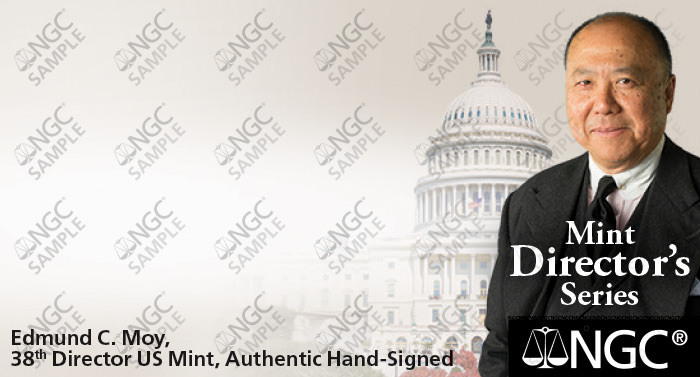 Each label features an authentic autograph from the 38th US Mint Director. 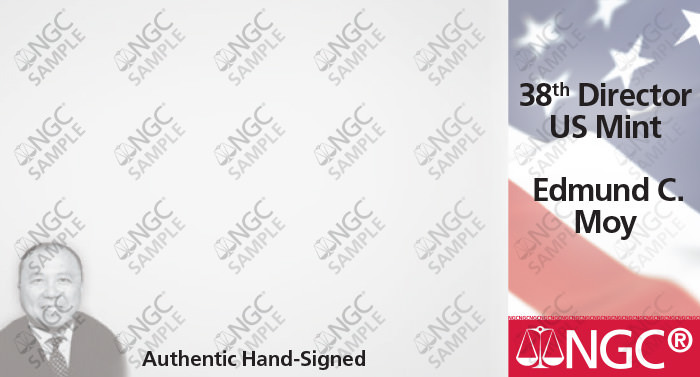 Moy has individually hand-signed each of these patriotic labels. This label features the portrait and authentic autograph of the 38th Director of the US Mint. 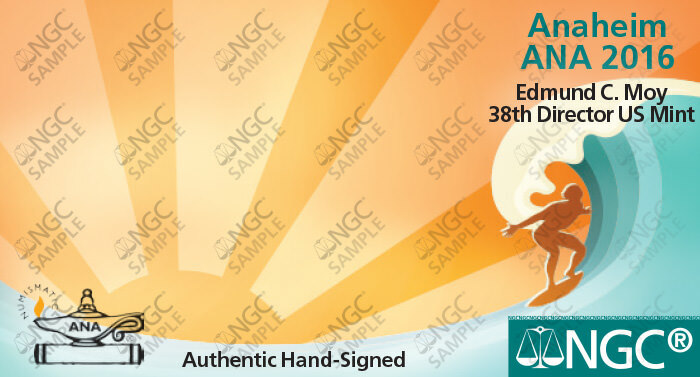 A California-themed label to commemorate the 2016 ANA World's Fair of Money in Anaheim, California.